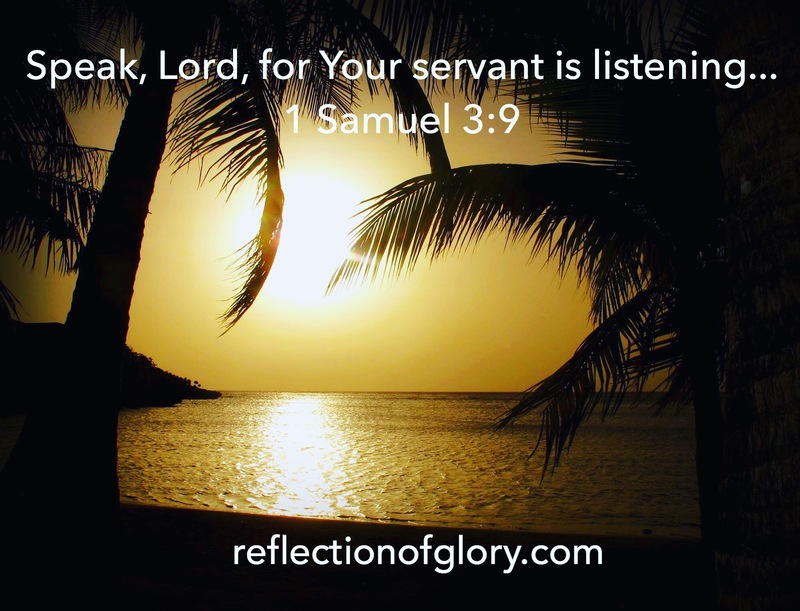 listening | Reflection of Glory! It was a moment of feeling the heart of God and His desire to connect with us on a more intimate level…His desire to have one-on-one time with us without interruptions. It is important not to forget the times of drawing near to God away from the crowd. Our public prayers are an overflow of our private prayers…..our public ministry is an overflow of our ministry unto the Lord. All effective ministry flows out of our relationship with God. It’s time to be more proactive and committed to strengthening our relationship with Almighty God!! Yesterday morning I was getting dressed for us to go to breakfast with my friend Carol’s mother, Sylvia. I was talking with God and worshipping with my praise music as I usually do every morning. 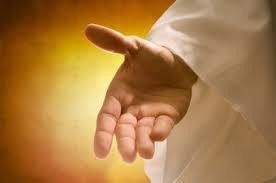 I began to feel that God was telling me that I was to pray for our waitress at breakfast (I have done this before). And, of course, I told Him yes! We drove to The Waffle House…but when we entered into the restaurant, we discovered there were no seats available and we were going to have to wait. Carol and Sylvia decided that we would go to Denny’s which was pretty close. This was not a restaurant that they usually went to…but, this day, we were going! At Denny’s, we were seated and quickly waited upon by a smiling, happy waitress. This was her! I knew that I would be praying for this joyful woman! I also knew that it would be when she brought our breakfast. As we were waiting for our order and enjoying our time together, we noticed the two women in the booth behind us were asking for the manager. They were sitting close enough that we couldn’t help but hear of their dissatisfaction with their service. And their waitress was our waitress! When our waitress, Tanya, came back to bring coffee and fill our water glasses – it was like a different woman had taken over! The smile was gone, a deep sadness rested upon her, and her body even seemed to be slumped over as if carrying a heavy burden. As she left, we joined in prayer for her…but I knew that my assignment from the Lord was not complete. I still would connect with her when our order was brought to the table. I knew immediately as an answer that we would not get our order until they were gone. A few minutes later, the women got up and left. Within 2 minutes, our waitress began slowly walking to our table with the big platter of food. She sadly and slowly began placing everything before us and then picked up the platter to leave. “Tanya, put down the platter…I would like to talk to you.” She put it down and slowly came closer to me. “I would like to tell you a story” and I began sharing with her of how God told me I was to pray for her that morning. With tears streaming down her face, she hugged me and told me thank you! We once again had our smiling, joyful waitress back! And she knew in a very tangible way at that moment how much God loved her!! Oh, my friends! May we be intentional about taking the time to not only speak TO God in our prayers…but take the time to LISTEN to Him speaking to us! So…I’m sitting in the airport in Atlanta all alone. Alone except for the droves of people going here and there to eat or catch a flight. But, everyone has their attention on their destination and not really on what is happening around them. I feel like I’m on an island in the heaving waters of the ocean. So much activity around me…but I am on an island of calm. I feel the sweet, calm presence of the Lord as my companion. I talk to Him silently as I watch the people pass by; I talk to him as thoughts drift across my consciousness; I share with Him my joys and my concerns. And best of all – He shares His thoughts with me! He tells me of His joys and His concerns; He shares with me His plans for what is coming in my life and ministry. I am so thankful and humbled that God actually wants to hang out at the airport with me! WOW!! What an awesome God we serve! I love when God speaks to me through “signs!” He has gotten my attention through signs on trucks; road signs; signs on buildings; and now a sign in a bookstore. Yesterday, I felt God’s love and attention while sitting with friends drinking tea in a bookstore coffee shop. I was enjoying this precious time of friendship when I glanced past them into the bookstore itself. There, right in my line of vision, were the words RELAX and RENEW on a book table sign. Yes, Lord!! I hear You!! I am reminded that in the midst of pouring out in ministry to others, we need to take time for ourselves. We need to relax and be renewed in God’s presence! There must be balance! There is a time of pouring out and there is a time of being filled. I am so blessed that I am entering a season of God using me in many ministry settings! And I am so blessed that I have this time of entering into rest, relaxation, and being renewed as I go forward in focus and preparation. God knows what we need and when we need it! He is so faithful and loves us so much. May we take the time to listen to Him however He chooses to speak: through His Word; through music; through prayer; and yes, even through signs! Hallelujah!! The Lord is so far above any thing this world has to offer. He is so far above every thought, every emotion, every circumstance that we can experience. And yet, this awesome God wants us to draw nearer to Him than we ever have before! He wants our thoughts, emotions, and circumstances to come under His Lordship! He wants His Beloved to be totally His! He is calling His Bride!! Can you hear Him?